The survival Bowie knife has been surrounded in mystery since its conception. Created from Fire and Steel, this knife has also stirred up a lot of controversy. Let’s explore how the controversy started. The Sandbar Fight made the survival Bowie knife famous and everything started in 1827 on the banks of the famous Mississippi River. James Bowie was outnumbered by four assailants but he was able to wound one of them and to kill another with a big knife. His brother gave him the knife to protect his life in case of a danger. Several knives claim the title of being the original knife that James used in his famous battle with the assailants; but most of them have the assumption that this knife was used by Bowie until the end of his life. 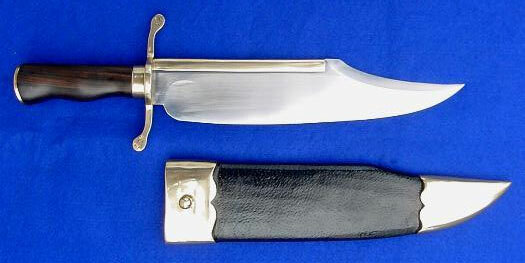 It is possible that Bowie replaced the original knife for another fancier knife as the reputation of the original knife grew, and he might have done it several times. The truth is that it is very hard to know the appearance of the original knife used by James Bowie. The survival Bowie knife has a length of 17.75”, a width of 5” and a diameter of 1.5”. This knife also has a leather scabbard, wooden grips, and a blade of 12 7/8 inches. In a battlefield of Kentucky was found a survival Bowie knife. It is also said that James Black made the original survival Bowie knife, and the blade had up to 14 inches. 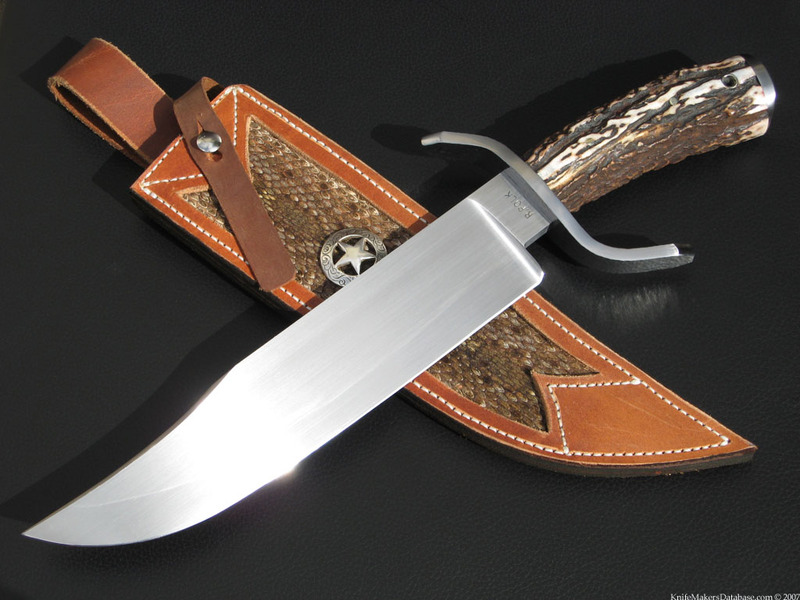 A cowboy could skin an animal quickly thanks to its design, and many people say that a survival Bowie knife is just a large one that has a chipped point. This knife was very popular in the 19th century. U.S. troops used them when they were at war with Mexico and during the disturbances of Missouri and Kansas in the 19th century. The knife was also popular with the Confederate forces because they suffered from inferior weapons. The Musso Bowie has one of the best-knows Bowie knifes out there. The owner of this knife is Joseph Musso, an artist and collector of Bowie knives. This knife is very frightful and many people think that it was the original knife used by James Bowie because it has a blade of 14 inches. Other collectors of survival Bowie knives were interested in rather subdued versions of the famous knife because they wanted to see something between what was used in the famous Sandbar Fight and the forms that appeared later. Some people hold that the true original Bowie knife is found In the historic Arkansas Museum because this item has a defensible connection with James Bowie. James Black is blamed for having invented this type of knife so deadly and at the same time so famous in the United States. The Bowie knife was originally designed to fight. It can be used as a survival knife but you might not get the best results if you plan to use it for this purpose. A knife that is designed to be used for a survival situation must be capable of dealing with wood, able to butcher animals and skin them , able to deal with a spear, made of high quality steel, and more. It is important to think about what things you should use in a survival situation and which tool you have to get in order to survive to a deadly threat. A survival Bowie knife is just a tool and you need to think beyond this to get what you really need. You also need fire, shelter, and water, but a knife is just a tool in your arsenal. It is important to think that a survival Bowie knife is designed for fighting, not survival. The survival Bowie knife is a very famous knife that dates its fame back to the Civil War of the United States and to a famous fight of James Bowie. There are many legends around this knife, but you need to keep in mind that this knife is just for fighting and not survival. However, it can help you survive in a dangerous situation if you use it the right way. First time poster here but long time lurker. I read a discussion the other day on the net where the poster suggested it would be far better to have a small ax as a survival tool than a knife. He noted it can cut firewood, chop stakes, make spears and a bow and arrow, The back of it could be used as a hammer to “crush skills or coconuts.” He said the reason you don’t hear much discussion about how useful axes are is because they lack the macho tough guy appeal of a big knife like the Bowies. Is there any merit to what this guy is saying? After thinking about it, it does seem like an ax would be very helpful in the woods, but it would not be feasible to skin an animal with one. In a fight, an ax might be a very formidable weapon if the user was comfortable with it.